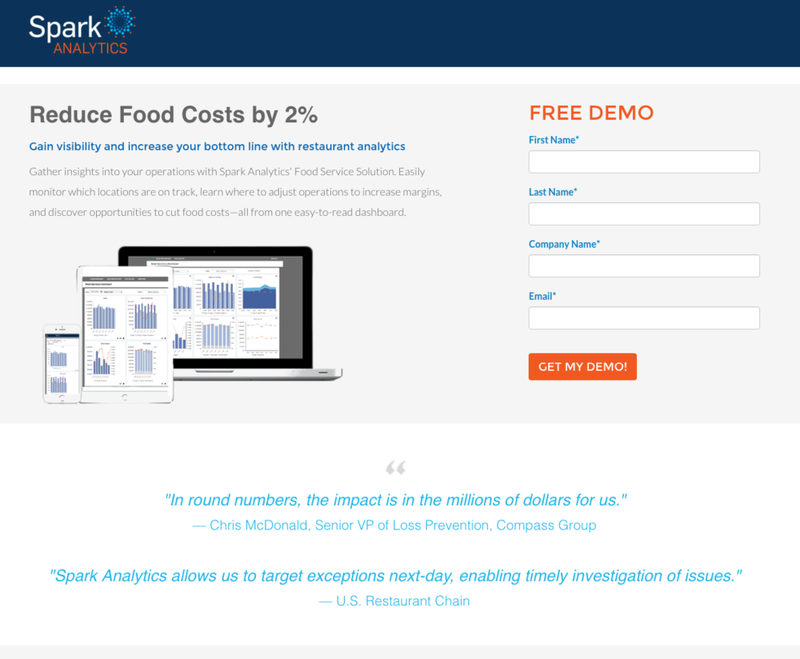 Spark Analytics provides prescriptive analytic solutions for modern retail and food service providers. 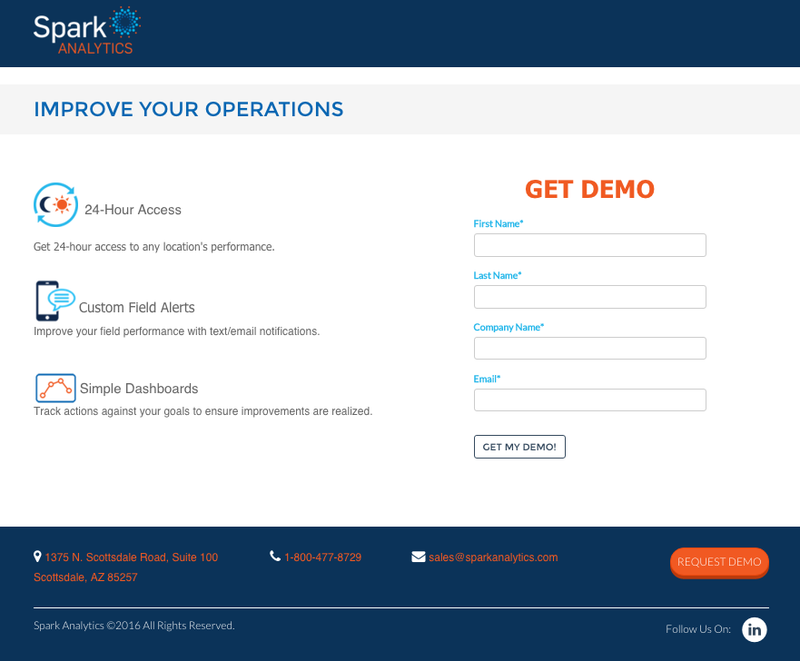 It was here, at Spark Analytics, that I really got a taste of multiple marketing touch points. My main focus was creating content for the blog, but I also worked with Google Analytics and optimized content for SEM, helped managed social media efforts, and felt the pain and reward of working with paid advertising (yay, Google AdWords). I wrote (ghostwrote, more often than not) several blog posts on topics trending in the retail and food service industries. Proudest accomplishment: Increased blog traffic by 220% from April 2016 to May 2016. 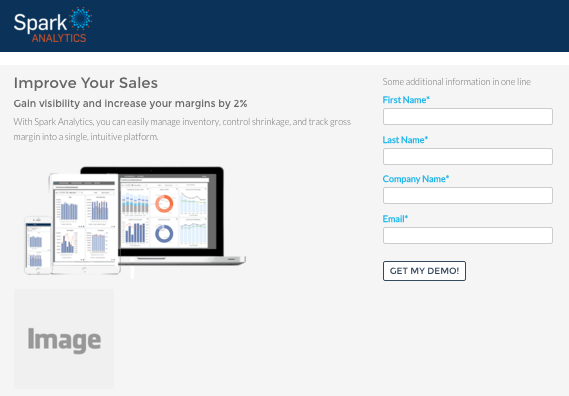 I altered the following landing pages—based on SEO best practices—to improve clarity and increase conversion. I also wrote this tidbit of homepage copy.